The four-session AllSeated Certified Professional course is designed to give you expert-level knowledge of AllSeated. Each class dives deeply into a different area of AllSeated, enabling you to master all the features. After successfully passing the test at the end of the series, you will receive a certificate of completion proving your AllSeated expertise! Each session is 45 minutes (30 minutes of instruction followed by 15 minutes of optional question and answer time). The AllSeated professional course was super easy to follow along with, and although I already knew how to use the program, I did learn more ways in how to use it effectively. It was a great overview of the product, as well as the day of app which I cannot wait to start using! Thank you so much for putting this on, I feel I can be more organized and keep my clients more in the loop with this easy to manage program! Libby CalatoCity Gourmet Group, Inc.
AllSeated is such an intuitive product anyone can use it! The Certified Professional Course just takes your knowledge to the next level. Learning the additional nuances of the program is a value add to my productivity and ultimately my clients. Thank you Rebecca for an informative and ease of use webinar series. I certainly enjoyed the course! It was very informative and will make planning an event much easier. I particularly like the ability to change table and seating arrangements with the click of a mouse. It was also great to be able to go back and review the class on the web. Thanks for an awesome experience! AllSeated is an essential tool for work! 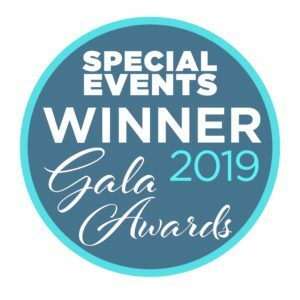 I would like to thank you for the AllSeated Certified Professional Course, through which I was able to understand how many tools AllSeated offers to make a wedding planners work easier and practice on how to use them. Rebecca, you were very clear in explaining these features and having us practice them. I also enjoyed the opportunity to ask questions and receive a response during the webinar. 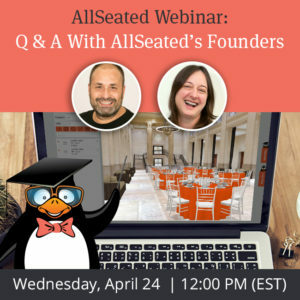 AllSeated is a great program for vendors in the event industry. 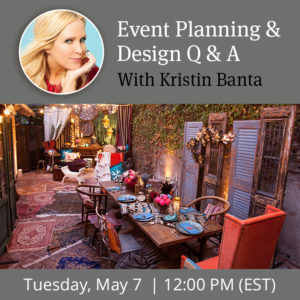 The ability to create floorplans of any while adding in all the elements to an event is truly a godsend! After completing the AllSeated Certified Professional Course I feel as though now I can provide my clients with the best floorplans, timeline, and RSVP then I could before. The AllSeated Course is a great way to learn the software! Rebecca does a great job of walking through each step without leaving anyone behind. I would definitely recommend this course for anyone looking to be trained on the various tools and being able to ask questions with guidance and support. This course is a fantastic way to get familiar with all the handy features AllSeated has to offer. It's super easy with step by step instructions and the ability to ask questions throughout. It's perfect for training new staff members, too! Thanks, AllSeated! The AllSeated professional course was interactive and hands-on. I learn best by doing while I listen and watch so it was a good learning experience for me. I will now be able to correctly use all the wonderful features AllSeated provides. Thank you Rebecca!